Female mice exposed to a mixture of 23 chemicals used in oil and gas fracking developed mammary lesions and enlarged tissues—suggesting the chemicals may leave breast tissues more prone to cancer, according to a new study. The study is the first to examine the potential impact of chemicals used in unconventional oil and gas extraction—such as hydraulic fracturing and directional drilling—on mammary glands and suggests that low levels of the chemical cocktail commonly found near frack sites may spur abnormal development in women’s breast tissue. “The mammary gland is a hormone-sensitive organ that is responsive to multiple endocrine inputs during development,” the authors wrote in the study published today in the Endocrinology journal. It’s the latest potential health impact linked to fracking chemicals, which have been associated with low birth weights, birth defects and reduced brain function in children. 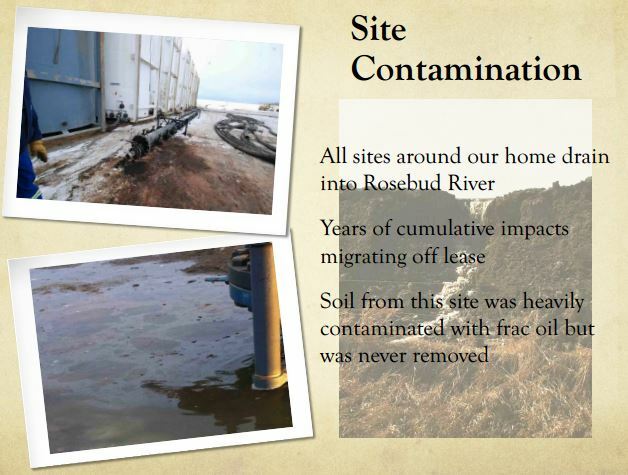 In addition, health impacts were seen after exposure to levels of chemicals well within what is found near frack sites. 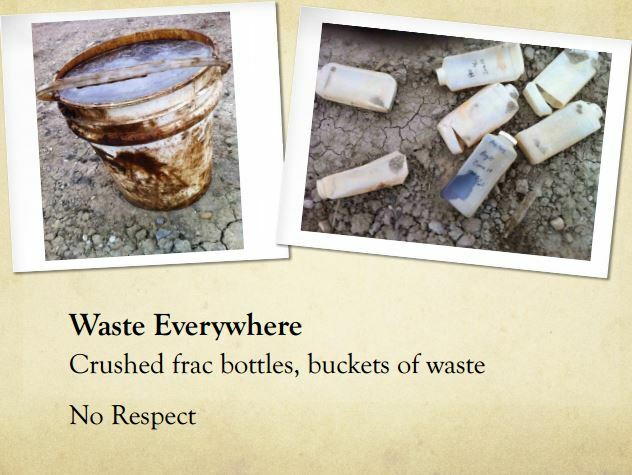 The mixture was just a fraction of the more than 1,000 chemicals used during oil and gas fracking. Scientists exposed female mice—while in their mothers’ womb—to different levels of 23 chemicals. There were no effects on the mammary glands prior to puberty, but when the exposed mice were adults they developed lesions and a condition called hyperplasia, which causes enlarged organs or tissues. The researchers “chose varying amounts of the [chemical] mixture in order to mimic a range of human exposures to these chemicals,” said Susan Nagel, a researcher and associate professor of obstetrics, gynecology and women’s health at the University of Missouri School of Medicine, and study co-author. Nagel and colleagues used four different doses — the two lowest doses were similar to what you might find in drinking water in areas near oil and gas operations, and the higher doses were comparable to wastewater puddles on work sites near fracking, said senior author Laura Vandenberg, a researcher and assistant professor at the University of Massachusetts–Amherst School of Public Health & Health Sciences. They saw effects on all exposed mice. “Even at low doses we’re seeing lesions in the mammary gland,” Vandenberg said. Vandenberg said this “suggests the mammary gland is getting misinformation about where in development it is.” The 23 chemicals in the mixture are all known endocrine disruptors and have previously been show to either mimic or interfere with certain hormones. 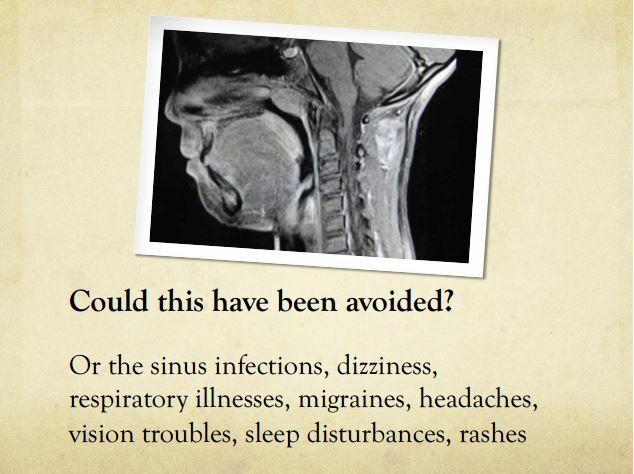 Nagel said they would next analyze how these breast tissue changes may affect function, such as lactation. The impact on mice doesn’t necessarily mean the same is true for humans—the mouse mammary gland has some similarities and some differences. However, there are “important parallels” between mice and humans,” Vandenberg said. “We use mice to test drugs before we give them to people … they’re similar enough that if there is a problem in mice, we’re not giving it [the drug] to people,” she said. 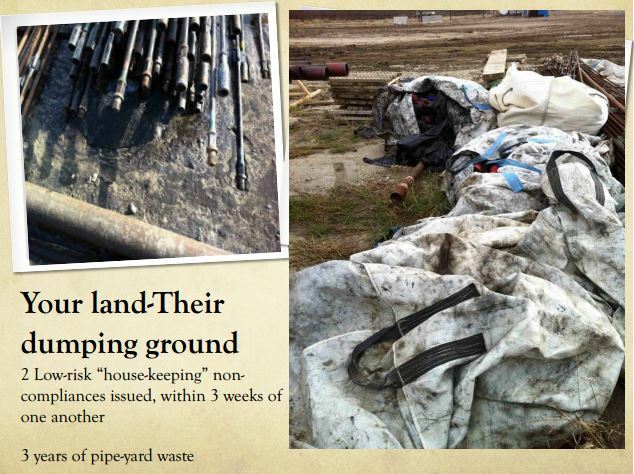 2017 06 20: Calgary wants control over contaminated sites (1,766 known in the city! ): “Oftentimes the authority is not aligned with the ability.” AER & industry set taxpayers up to be hung with $300 Billion in oilfield liabilities. Enabled by the courts? 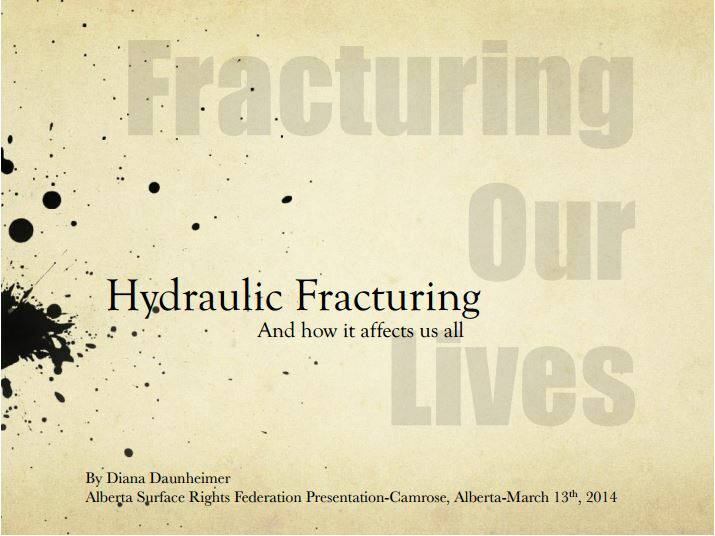 Alberta Cancer Cases Expected to Sky Rocket – How much caused by oilfield pollution? 18,600 new cancer cases expected in Alberta in 2017! 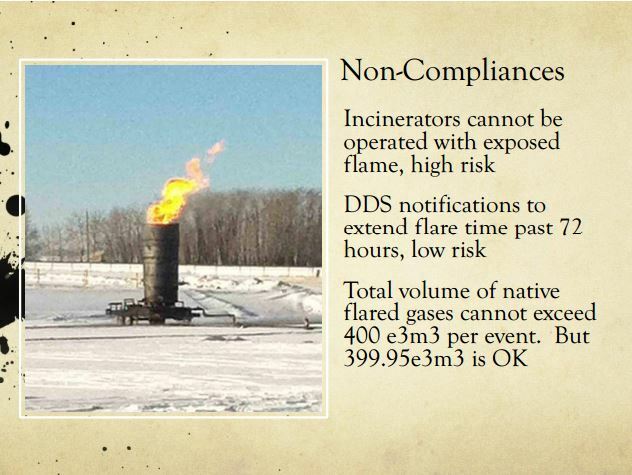 2016 05 01: Albertans still don’t know what toxic oilfield chemicals their children are breathing. When will companies be ordered to fully disclose all chemicals, including trade secrets, before racing toxic truck loads through school zones, by hospitals, where children play, and before injected, spilled, dumped, spread on foodlands, flared, vented, spewed from endless facilities? 2015 06 21: “Insanity is doing the same thing over and over again, expecting different results.” Why ask for regulations knowing frac problems & harms can’t be repaired with regulations, not even “best in the world,” and everywhere they’re fracing, or planning to, regulators are madly deregulating? How many toxic chemicals do we breath living and or working next door? 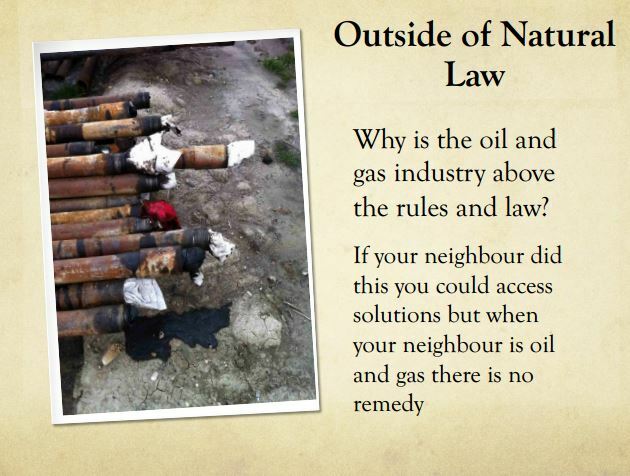 Thank Canadian courts and “Best in the World” (for polluters), “No Duty of Care,” 100% Industry Funded, 100% Legally Immune, Charter-violating Alberta Energy Regulator (AER) for the frac chemical poisoning in your body and those of your loved ones. Chemicals used in fracking have been linked to breast cancer and reproductive health problems and there have been reports of rises in crimes against women in some fracking “boom” towns, which have attracted itinerant workers with few ties to the community. 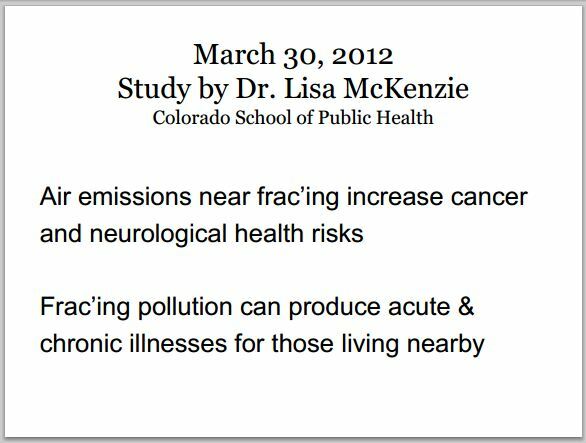 … Chemicals linked to cancer are present in nearly all of the steps of extraction — in the fracking fluids, the release of radioactive and other hazardous materials from the shale, and in transportation and drilling related air pollution and contaminated water disposal. Some reports indicate that more than 25 percent of the chemicals used in natural gas operations have been linked to cancer or mutations, although companies like Haliburton have lobbied hard to keep the public in the dark about the exact formula of fracking fluids. Results: Residents living ≤ ½ mile from wells are at greater risk for health effects from NGD than are residents living > ½ mile from wells. Subchronic exposures to air pollutants during well completion activities present the greatest potential for health effects. The subchronic non-cancer hazard index (HI) of 5 for residents ≤ ½ mile from wells was driven primarily by exposure to trimethylbenzenes, xylenes, and aliphatic hydrocarbons. Chronic HIs were 1 and 0.4. for residents ≤ ½ mile from wells and > ½ mile from wells, respectively. Cumulative cancer risks were 10 in a million and 6 in a million for residents living ≤ ½ mile and > ½ mile from wells, respectively, with benzene as the major contributor to the risk.